Garage door came off and crucially in need of top-quality garage door repair service? We have offered reliable replacement and repair services for residential and commercial garage doors. Whether you want to replace some windows or hoping to repair your garage door fast, give us a call! The garage door springs are usually frequent offenders. It takes the toll of the garage door's weight, which leads it to break down over time. It is crucial to get the springs repaired immediately once break down occurs in order to avoid a whole bunch of problems later. Torsion and extension are the two common types of springs utilized in garages. Torsion Springs: Usually used for heavy doors and sit alongside the wall above the door opening. Torsion comes in five designs - standard residential, standard commercial, steel rolling door, torquemaster, and EZ-set torsion springs. 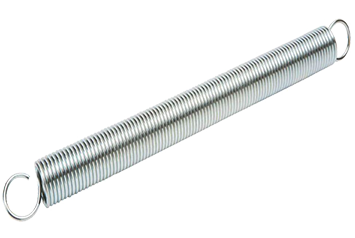 Extension Springs: Usually used on lighter doors and sit either side of the door track. The extension comes in two designs - one-piece and sectional garage door extension springs. These garage door springs can malfunction for several reasons, such as extreme cold or heat. No matter what the reason is for causing your spring to breakdown, seek professional help. Another imperative component of a garage door is the opener. And, it fails due to some reasons. One example is a misaligned track line. At Durability Garage Door, we specialize in garage door opener repair including lock switch setup, activation switch wiring, and light switch wiring. We mainly offer expert opener repair for openers from Liftmaster. We can even tackle other major brands if necessary. 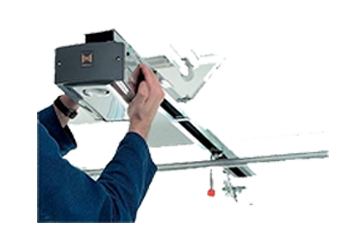 Our experienced technicians have seen and done almost all garage door opener repairs. We can get yours back, too, in a quick manner and at a reasonable cost. You can ask assistance from us if your opener is beyond repair and need a new one to meet your needs. So, if your garage door opener is starting to worry you, look no further than Durability Garage Door. Just contact us online or give us a call today. Loose garage door cables? The door won't open or close? Broken wires? Need a quick replacement or repair? Never worry if you have our contact number! Your garage door cables also serve an important purpose in your garage door, ensuring a smooth operation all throughout. They act in concert with the torsion springs as well as run from the roller brackets to the cable drums. If you want a professional and fast garage door cable repair or replacement without breaking the bank, we are the one you can depend on. Our technicians boast outstanding know-how in replacing and repairing broken garage door cables. Remember, garage doors are extremely heavy and can be impossible or hard to function when the cables are not in tip-top shape. Do not ignore the problem, unless you want to deal with further issues in the long run. Call Durability Garage Door instead to come and fix the problem! Dealing with creaky, damaged rollers? If you want to have them replaced or repaired, call Durability Garage Door today. 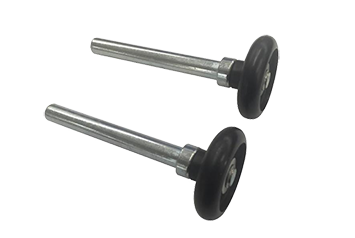 What makes garage door rollers among the sought-after these days is the fact that it can give homeowners with an added sense of security and protection, besides the comfort and convenience. They make your life a lot easier since you no longer need to get out of your car, walk up the driveway, and open your garage door manually. But when it fails, a major inconvenience might occur. Have your garage door roller serviced by the best in the industry - the Durability Garage Door. We will help in extending the lifetime of your garage door with our high-quality repair services. We work on various roller materials, be that metal, plastic, or silicone rollers. Simply contact us when you have questions about our garage door roller replacement or repair services. An off-track garage door is inconvenient and very dangerous. We can offer same day service for your garage door off track repair. Among the common signs of broken door track are rust spots, loose screws, and loose rollers. Make sure to get in touch with us as soon as you experience any of these issues. Don't wait for another problem to arise - it is better to act now before it’s too late! You can get the best service at Durability Garage Door. Never allow a bent garage door to deter your lifestyle or daily activities. Move forward at full throttle by opting our company for repairs. We do the job by examining the tracks first. From then on, we do the repair needed. We can even supply you with the things you should and should not do to prevent off-track occurrences. It is best to let the professionals handle the job than doing it on your own. Anyone can claim that they are the best in the field. Ours can be shown in our daily actions and with our countless happy customers around the area. We have technicians certified in commercial and residential garage doors. We make sure that we are equipped with the latest knowledge and tools, which is why our professionals don't miss any opportunity to expand their expertise. Continuing education is what we implement. Reliable and prompt, Durability Garage Doors appreciate your business and is willing to work hard to keep it. Our customer's trust is very important to us. Hence, we make sure that we won't disappoint you once you give us a call. A written estimate could be provided before doing the entire work, plus we do not approve hidden or surprise costs. As soon as we have finished the job, we will walk you through and show what has been done. The idea is to give you the confidence knowing your garage door was fixed properly. In case of an emergency repair, we will not only fix the issue but will also service your equipment and make suggestions to enhance its performance. We make sure to improve our quality of work on a regular basis. Attention to detail can be clearly seen in each of our jobs. Plus, all our technicians are highly trained in repair and replacement practices. Strict standards are carefully followed. Durability Garage Door offers garage door services when it is convenient for you. Our professionals work with your schedule when it comes to repairing and replacement. There is never a need to reschedule your current appointments or shuffle your calendar. Same day service is offered. We do the work within the day you call us. We won't leave until you are completely satisfied with our work. So, ready to schedule a service? Feel free to communicate with our customer service representatives. You can also browse our website to learn more about our garage door spring repair, garage door cable repair, garage door opener repair, and other types of garage door services. You can always rely on us for high-quality services either for repair or replacement. We provide with more than just garage door services!